I've never laughed so hard at a potato. HAHAHA. 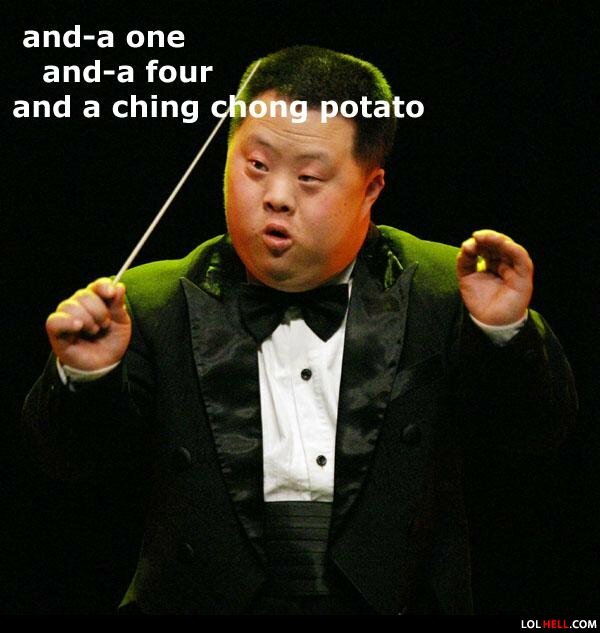 Oh my days, I thought one of the comments put below said: "I've never laughed so hard at a potato." thats not offensive, its just dumb. He is a talent conductor. he's adorable...I DID crack up tho! Rain drop. Drop top. Extra chromosome made my face flop. Finding a worm in your apple.